In F8 2018, Facebook launched its first standalone VR headset, Oculus Go. The headset’s $199 base version has 32GB of storage, and a 64GB version will sell for $249. A self-contained headset, without the need for a smartphone or PC, it’s as simple as strapping it to your face and grabbing the controller. Due to the integration of Oculus Go with Oculus’ Mobile SDK, there’s a massive range of Samsung Gear VR content available, with over 1,000 to pick the big question on most people’s minds at this point is: which apps should I download? 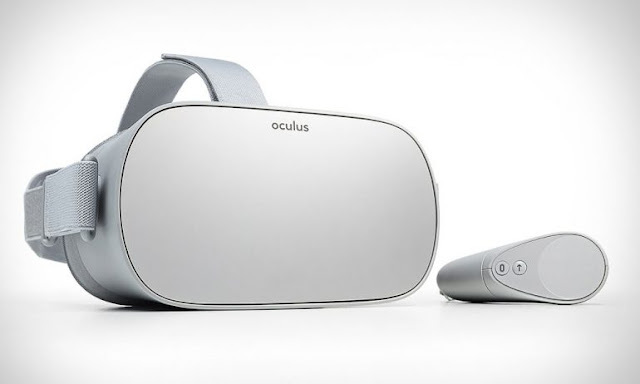 Oculus Go is available at Oculus store, as well as Amazon, NewEgg, and Best Buy. If you’re planning on picking one up, you’ve ordered one, or already own one, here are the 15 best games for your Oculus Go and also in the end of the article we added some new games. B-Team is a game created by Twisted Pixel, an Oculus Studios developer that released Wilson’s Heart The alien invasion is underway! The best and the brightest met the enemy head on, and got their butts kicked for the trouble. Now it is up to you and the members of the B-Team! These aliens are carrying heavy firepower. Use the Team’s special weapons to fight through wave after wave of determined enemies. It is a horror, mystery VR thriller game. In DEAD SECRET CIRCLE you can freely explore every nook and cranny of the highly detailed environment with full locomotion. Solve devious puzzles in classic Adventure format. Collect items, review the clues, and unlock the secrets of this strange building. You can run, you can hide, but you cannot fight The Laughing Man. Your only weapon is your wits. Find alternate endings, a huge collection of hidden items and documents, and branching dialog paths. Ozwe’s best-selling space-based dogfighting series, Anshar Online is basically everything great about Anshar Wars 2, Anshar Online is an online multiplayer space shooter. Team up with players and fight intense coop battles in over 50 missions, contracts and assaults, against ever more challenging opponents. Compete against other players in an exhilarating race to determine who among you is the fastest, and battle in an 8-player death match to determine who is the top ace. The cross-platform multiplayer between Go, Rift, and Gear VR is an excellent feature as well. As the last human on earth, you must infiltrate a robot-only society by completing a series of bizarre human detection tests. Now including the free 'Overclocked' DLC - assuage suspicion with machine-like efficiency as you conduct open part surgery, pilot a drone, manage rush hour in an explosives plant, instigate Armageddon in a cataclysm simulator, plus sixteen other irreverent and humorous experiences. it’s a smart stealth action game with a VR twist, that explores the perils of government surveillance in the internet age. With over 10 hours of gameplay, Help a woman named Hope escape from a dangerous totalitarian state in this stealth thriller that explores the perils of government surveillance in the Internet Age. Hack into the nation’s elaborate network, take control, and guide Hope to freedom. If you’ve got a stomach for thrill-seeking, and think roller coasters could do with a little more firepower, make sure to grab Coaster Combat for the Oculus Go. It’s an easy-to-learn, hard-to-master action game that’s fun for all ages. Not only are the tracks beautifully rendered with exciting twists and turns, but you’re also tasked with shooting orbs for points and taking out enemies along the way to keep things interesting. In Keep Talking and Nobody Explodes, one player is trapped in a virtual room with a ticking time bomb they must defuse. The other players are the “Experts” who must give the instructions to defuse the bomb by deciphering the information found in the Bomb Defusal Manual. But there’s a catch: the Experts can’t see the bomb, so everyone will need to talk it out –fast! Recommended: YouTube VR App Is Now Available On Oculus Go. One for the kids, Part VR Tamagotchi experience and part animal-raising simulator, Create, train and customize a wide variety of magical creatures and run your very own magical creature shop! Grab your magic wand and step into Scrufflewicks, the most extraordinary creature shop the kingdom has ever known! Customers from far and wide are depending on you. Work your magic in the hatchery to manipulate eggs and hatch critters in all shapes and sizes. The creatures can then be trained in the den to hone their skills and compete against players in the Royal Rumbleshire Tournaments. Catan VR allows tabletop fans and new players alike to experience the best-selling board game in a fresh, fully-immersive format. Take on other players around the world or play against Catan personalities and watch the island come to life in VR for the first time. Catan VR brings everything board gamers love to the Oculus Rift, Oculus Go and Samsung Gear VR. Don't expect this to be a first-person farming experience though; it's much more like playing the normal board game but in a virtual reality room so you can play it online with friends or with other players. If you are waiting for the game like Harry porter then wands is for you. WANDS is a first person VR experience that offers fast paced magic duels against other players online. Equip your wand with a wide variety of spells and battle other Wielders for fame, power and glory in the fantastic realms of The Beyond. Explore new spells and hone your skills in your secret workshop in between battles. Skylight by indie developer E McNeill is a turn-based sci-fi video game involving epic space battles. Skylight is a VR turn-based tactics game of colossal space battles. ​ On the bridge of your flagship, a holographic projector shows your fleet floating in space, facing the enemy and awaiting your orders. Command nimble squadrons of fighters, specialized frigates, and giant capital ships as you orchestrate your forces toward victory. With 15 unique ship types and 36 campaign missions. The evil German Doctor wants to create a master race. There are Zombies. You have to stop the evil Doctor from raising his apocalyptic army of zombies, get new weapon alog the way, and blow up massive amount of zombies. It's exiciting, complex, makes you jump, and has thrilling story line. End Spce is a space VR game. In End space, you're a skilled pilot in United Trade Consortium and must fend off relentless attacks from the Tartarus Libration Front's insurgents on a series of dangerous missions. Using your motion controller, gamepad or touchpad, fly through intense space battles wiping out the TLF across the Tartarus Sector. Your powerful Pulse Laser cannons and homing Meteor missiles are neural linked to your sight providing a deadly combination of technology and skill. Unlock progressively harder levels and upgrade your weapons after each success. One of the genres that is lacking most in the library of Oculus Go is the RPG. We have got a ton of games in other genres. Explore Tholl, a world beyond your imagination! On this fantastic planet, peaceful villagers live in harmony while barbaric tribes keep to their wilderness. Into this world where nothing changes arise the Tesh, a demonic force bent on destruction. The Oracle summons YOU to Keep the Balance. You must recruit allies, brave the wilderness, explore the mysteries of Tholl and defeat the Tesh before they unmake the world! This is developed by the same developer as Face your fear, Left 4 Dead, and Evolve. You can also try Eclipse: Edge of Light, Thumper and VR Karts. Subscribe our Email Newsletter so we will notify you when we update our article.